Free upgrade to precision dice on every backgammon set. Our precision dice come in lots of colors. A free upgrade with every purchase! It doesn’t matter if you’re playing in a casino or casually. 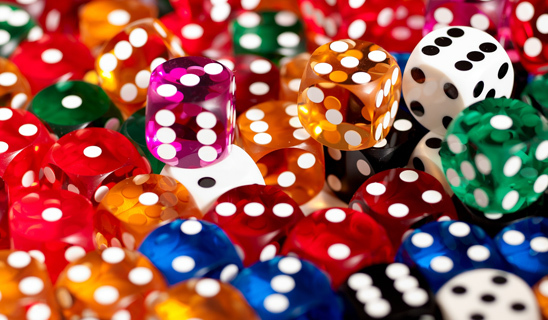 We feel that precision dice are a must for every backgammon game. Unfortunately, most manufacturers only include rinky-dink standard dice with their games and customers are reluctant to spend up to $50 for a pair of precision dice. We’ve decided that, as gaming fanatics, we simply can’t let this trend continue. As of today, all backgammon sets will be upgraded from standard dice to precision dice for free. We’re also now offering precision dice in our store, and we’re selling them for a fraction of our competitors’ prices. The bottom line is that the key to our success has proved to be our dedication to making customers happy, and offering you more than any typical store might. So check out some of our precision dice and pick up a pair if you’ve been using a pair of standard dice. Otherwise, if you end up purchasing a game from Zontik Games, we’ve got you covered – precision dice be sent to you set free of charge, regardless of whether they’re included by the manufacturer.